When writing about comedy, there is nothing a dramatist likes more than the ‘sad clown’ archetype. And there are plenty of real-life examples to draw upon, from Tony Hancock to Frankie Howerd, Kenneth Williams to Robin Williams. But it is, argues Robin Ince, both too simplistic a picture and one that is increasingly outdated. ‘I presume that there will be fewer documentaries in 30 years’ time about the sadness of individual comedy stars,’ he says as we meet to discuss his new book about the psychology of stand-ups. And that’s because comedians now have far greater freedom to speak about their feelings, even the corrosive ones, in their work. 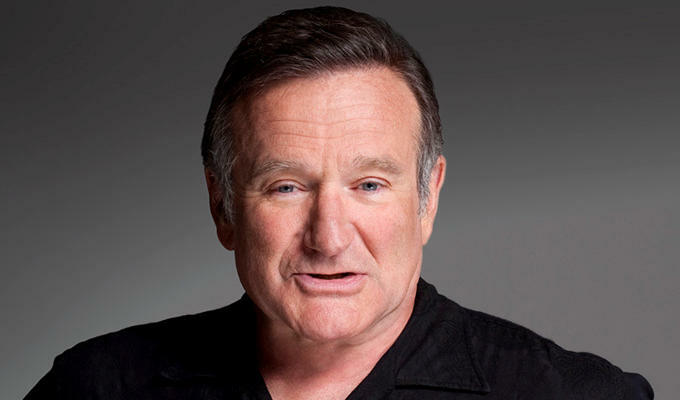 It was the coverage of Robin Williams’s death in 2014 that prompted Ince to start work on his book, I’m A Joke And So Are You, even though he had been thinking about the psychology of comedians for the full 30 years he’s been a performer. Ince believes that comics’ exaggerated personas and quest to connect with other people in the audience leads to that freedom. ‘Whether it’s anxiety, whether it’s about inner voices, whether it’s about creativity, whether it’s about love or joy – you can be at your most honest on stage,’ he says. In the book, Ince discusses a formative experience from his childhood. When he was just three years old he was travelling into a car being driven by his mother, which crashed into an oncoming vehicle on the other side of the road, knocking her into a coma. She later recovered, but the incident was clearly traumatic for young Ince. But he’s dubious about even whether a life-changing moment like that put him on an inevitable path to being a stand-up. Nor does he believes comedians are intrinsically a different breed from anyone else. ‘There’s no gene to be a stand-up comedian and there is no specific cultural event that makes someone a stand-up comedian,’ he says. Even so, he concedes that whatever the reasons, there is something unusual about the compelling need to go on stage and 'do this showing off with quite a high level of psychological jeopardy’. And he quotes Jo Brand, who suggests: ‘I don’t think all comics are mad, but I think all comics are damaged’. Maybe that’s why stand-up Jason Cook tells of going to a therapist who told him: ‘I think we can sort all this out.’ And Cook replied: ‘Ooh, not all of it, leave a bit for me.’ Heaven forbid he lose his mojo. Ince thinks those comics who are frank about their state of mind are doing a great service. 'When people in the audience come up to you and say,"I’m glad you talked about that because I thought that I may well be mad", it’s always a delight. ‘Sometimes when you talk about some of the more wretched things in humanity and turn it into a joke, some people can find that gives them permission to be weird or feel weird. And he thinks comedians have a duty to do this. ‘When I was in Adelaide, the woman who was my ranger said, "You comedians need to write more material about suicide". Her daughter had killed herself and she thought if it was out there in the "lower art" area rather than anything more highbrow, then maybe people wouldn’t be ashamed to talk about the suicidal thoughts most people will have, even if they are not thoughts they will act on. He said a therapist told him ‘if you’re still laughing at it, you haven’t dealt with it’ - although she later modified her advice to say you can make a joke as long as it’s dealing with the subject properly. 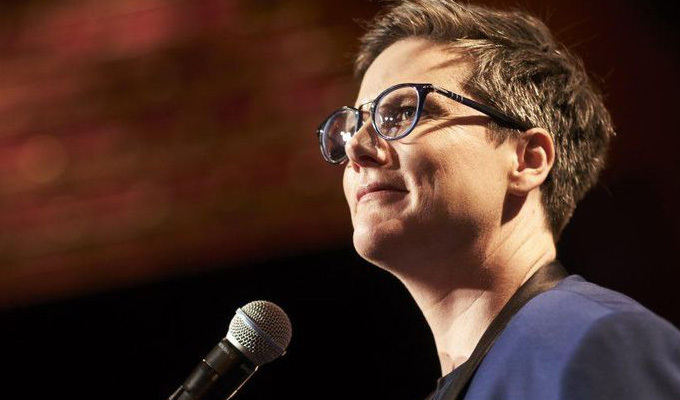 Indeed, reliving the pain on stage every night comes with its own problems, and he considers it ‘amazing’ that Hannah Gadsby can tell the highly emotional story of abuse she received every night in her show Nanette, what he called ‘an incredible piece of work’. Indeed when discussing his own childhood car crash on stage while promoting this book, Ince was hit by ‘this incredible emotion welling up in me; for the first time in 30 years on stage. ‘I got to my first memory: I looked at my mum in her seat and she was entirely still… I remember turning to my sister and saying, "Why are mummy’s eyes closed?" There are clearly many psychological issues that can be explored by comedians – and by talking to them. Which is the very premise of his book. ‘I thought if you take the mental anatomical model of the comedian and all of the different clichés – the "of course they had a very sad childhood and that’s why they have to make people laugh" – you could look at it from a psychological and scientific perspective and ask, "why do we become who we become? And then once we’ve become who we become, how do we deal with who we’ve become?" And he says another reason comics made good subjects are because ‘we are relentlessly self-analytical’. Ince interviewed a lot of comedians, academics and therapists for the book – which led him into therapy himself for the first time. And the man thing that surprised him from his research was that relatively few stand-ups suffered from the fear that they were imposters in the comedy world; a feeling he confesses to feeling sometimes. But the main takeaway is that no person can be reduced to a simply-defined character, even a comedian who projects a carefully honed persona. Ince says he’s ‘comfortable’ in his on-stage self, a slightly exaggerated version of the person he is when he chats to audience members after a show. 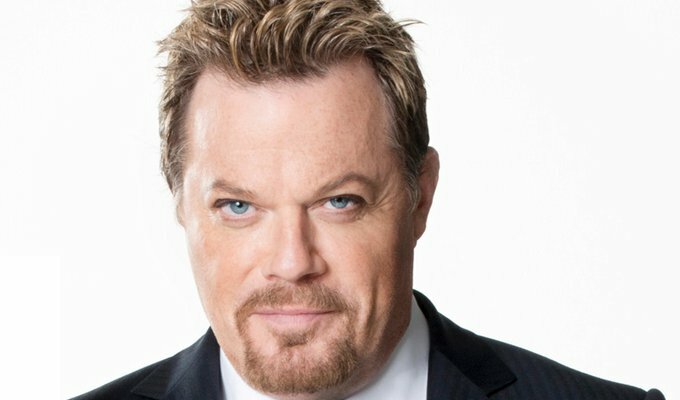 ‘It is a representation of one of the people that I am,’ he says.’But that’s a danger as well: if you go on stage and you are basically representing what you really believe then if someone comes up to you and says "I hated your show", then they’re saying: ‘I hated you’. 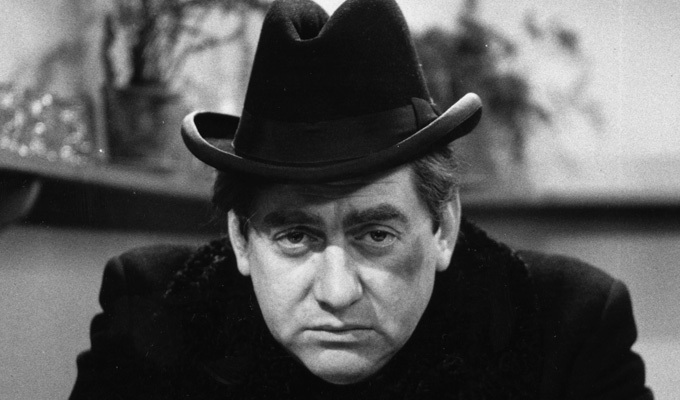 Of the difference between public image and private persona Ince cites Galton & Simpson recalling the supposedly morose Tony Hancock on the floor ‘like an upturned beetle, just laughing and laughing’; Bob Monkhouse revealing his real self behind the slick exterior in his biography Crying With Laughter; or the supposedly thick-skinned Joan Rivers shown constantly worrying about her work in the documentary A Piece Of Work. ‘We’re not that one thing,’ Ince says ‘We might go "I’m that miserable sod being miserable", but you’re not, you’re also that person who is there making that joke. • Interview by Steve Bennett. 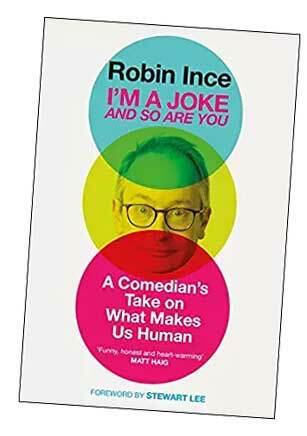 I’m A Joke And So Are You by Robin Ince has been published by Atlantic Books priced £16.99. It is available from Foyles at full price, or from Amazon at £10.75.